Wind down your weekend with a couple of books. 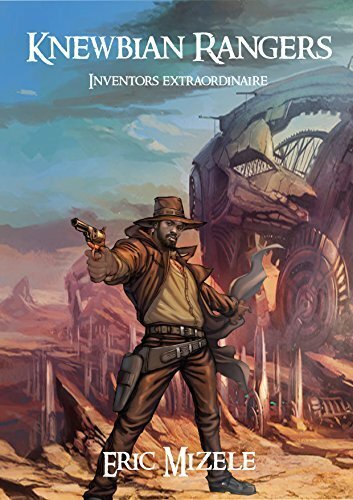 Looking for a good speculative fiction book to take you through this weekend? Well, look no further than our BlackSci-Fi.com Book Watch. We know it gets a bit daunting sifting through the endless digital bookshelves for a book to read. So on a weekly basis, we’ll be tossing out a few books for you to check out. Who knows, you might even see a review or interview focused on some of these very titles in the months to come. 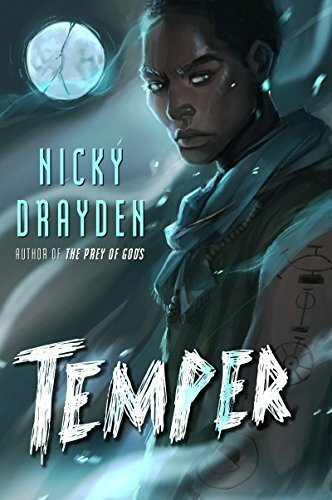 “In a land similar to South Africa, twin brothers are beset by powerful forces beyond their understanding or control in this thrilling blend of science fiction, horror, magic, and dark humor—evocative of the works of Lauren Beukes, Ian McDonald, and Nnedi Okorafor—from the author of The Prey of Gods. Auben Mutze has more vices than he can deal with—six to be exact—each branded down his arm for all the world to see. They mark him as a lesser twin in society, as inferior, but there’s no way he’ll let that define him. Intelligent and outgoing, Auben’s spirited antics make him popular among the other students at his underprivileged high school. So what if he’s envious of his twin Kasim, whose single vice brand is a ticket to a better life, one that likely won’t involve Auben. The twins’ strained relationship threatens to snap when Auben starts hearing voices that speak to his dangerous side—encouraging him to perform evil deeds that go beyond innocent mischief. Lechery, deceit, and vanity run rampant. And then there are the inexplicable blood cravings. . . .
On the southern tip of an African continent that could have been, demons get up to no good during the time of year when temperatures dip and temptations rise. Auben needs to rid himself of these maddening voices before they cause him to lose track of time. To lose his mind. And to lose his . . .
BOOK I: Lost in a mysterious antediluvian forest after an airplane crash, a group of intrepid teenagers fight to survive inside the dark labyrinths of humans’ origins. BOOK II: In 1930, John McCarver’s white Bugatti crossed an impressive viaduct at full speed and arrived at the coronation of His Imperial Majesty Haïlé Sélassié, the charismatic and proud ruler of Abyssinia (also known as Ethiopia). McCarver was an adventurous six-foot-tall African American genius professor and inventor at the Tuskegee Institute of Technology. The ceremony held in the royal castle was splendid. Eyes were astonished to witness the emperor’s entrance walking with a majestic domesticated lion. Dignitaries, emissaries, and renowned scientists from around the globe attended the spectacular event. The emperor, however, arranged a private meeting with McCarver during the ball that followed the ceremony. The emperor wanted the adventurer to track two extraordinary artifacts: The Pschent, the lost double crown worn by the Pharaohs of ancient Egypt. The second artifact was the real Sacro Catino, the emerald hexagonal Egyptian chalice that the queen of Sheba brought to King Solomon. The lost crown and the chalice were believed to have immense paranormal powers in Egyptian mythology.